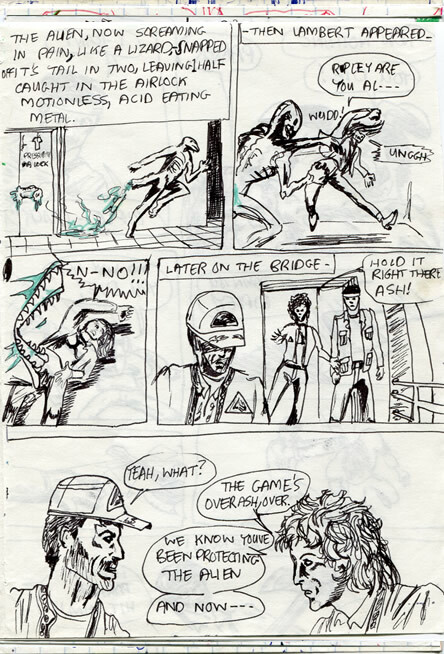 ALIEN age 11 - Comic/Graphic Novel and Blog: "Game's over Ash"  198x? Well, that's end of her. Poor Lambert. For some reason I bumped her off in this scene. Maybe I was bored with her? 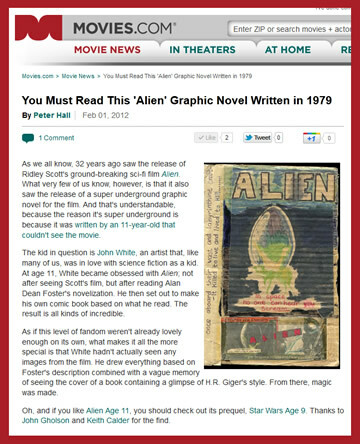 There's the < Cracked Magazine alien 'overbite' again. Last time we saw Ripley - she was unconscious. And ignored by the alien. So he kills poor Lambert and then what..? He just wanders off? Then Ripley and Parker walk into the bridge like nothing even happened. Is there a page missing or something? 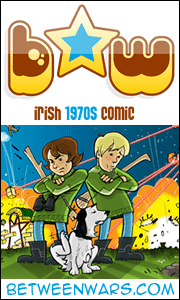 Invasion Dublin: May the 4th be with you! Johnny, Gabby and I are going to the Star Wars event: Invasion ^ this weekend. the big guest this year is Billy Dee Williams aka: Lando Calrissian. 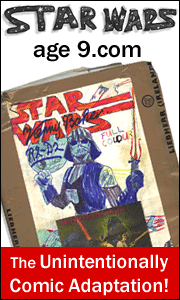 I'll ask him to sign my home-made Empire Strikes Back comic from 1980-ish and take a photo or two. Any ideas as to what I should ask him? Over on the SWa9 Facebook page ^ I got some good suggestions. Even to bring him a bottle of Colt 45! More, as usual, on Monday. Have a great weekend folks.